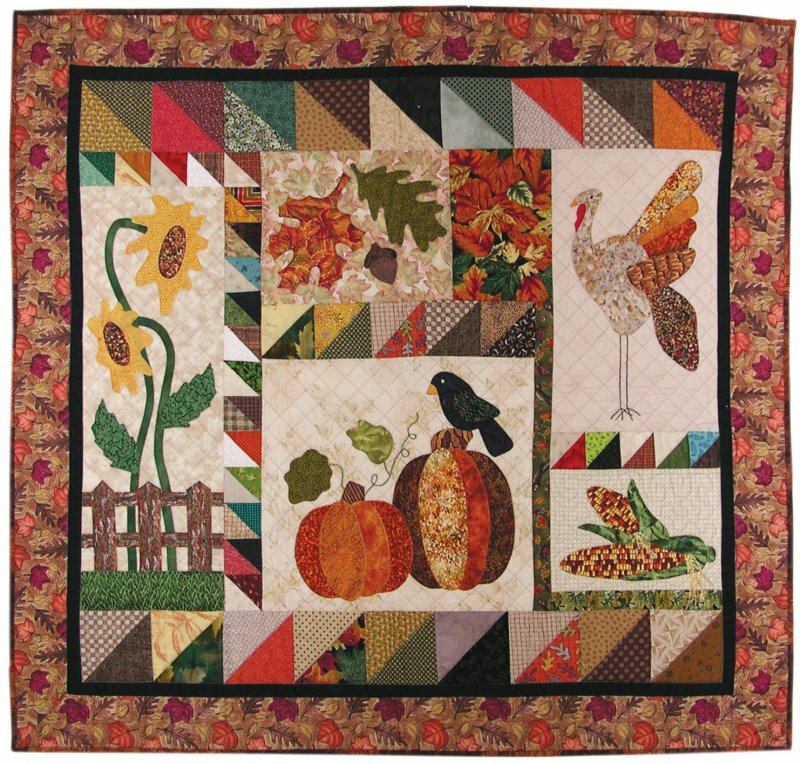 Autumn Fabric Kit includes enough fabric for the quilt top, borders and binding. Pattern and DMC Floss are also included. All fabrics are high quality 100% cotton. NOTE: Fabrics may vary. 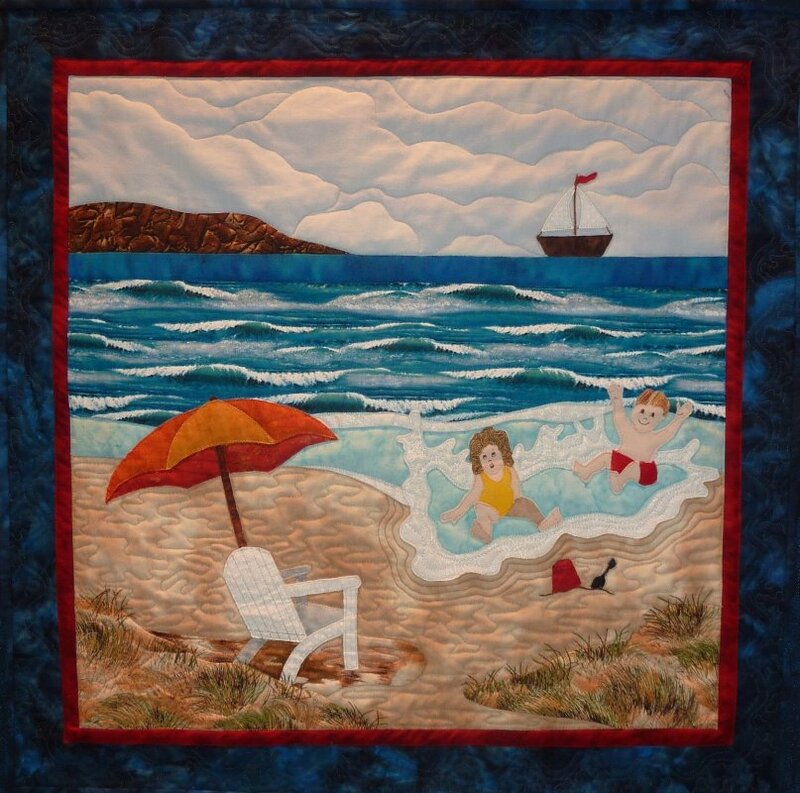 Day at the Beach Fabric Kit includes enough fabric for the quilt top, borders and binding. The Pattern is included. All fabrics are high quality 100% cotton. NOTE: Fabrics may vary. 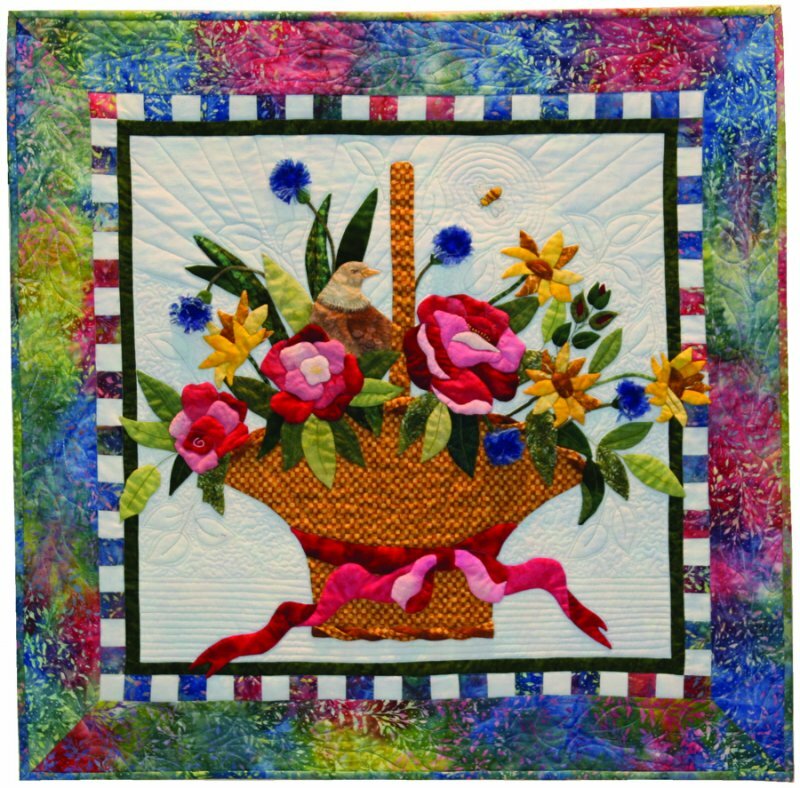 Everlasting Beauty Fabric Kit includes enough fabric for the quilt top, borders and binding. Pattern and DMC Floss are also included. All fabrics are high quality 100% cotton. NOTE: Fabrics may vary. 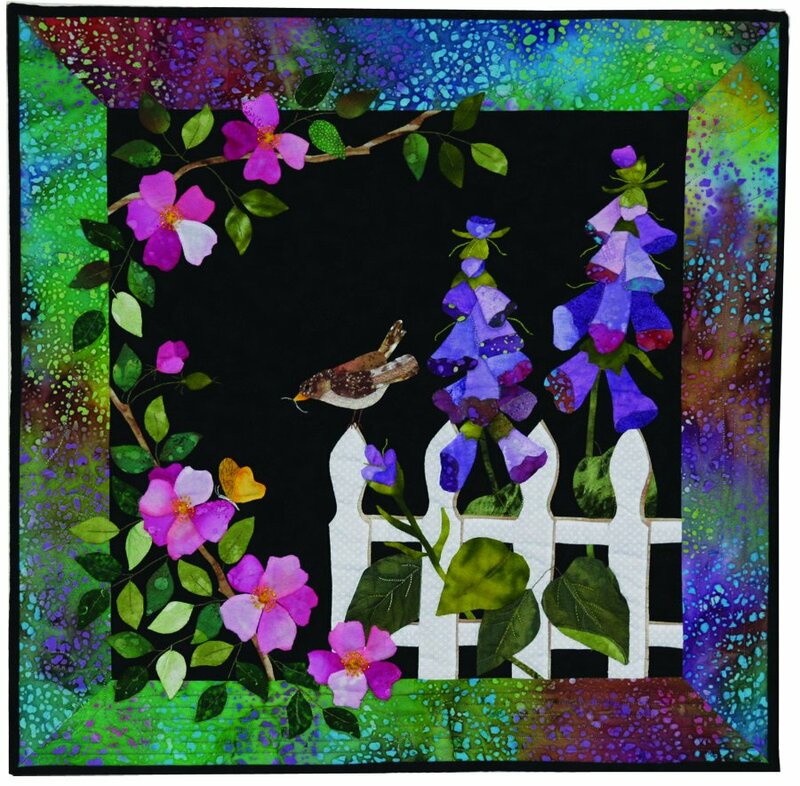 Feathers 'n Blooms Fabric Kit includes enough fabric for the quilt top, borders and binding. Pattern and DMC Floss are also included. All fabrics are high quality 100% cotton. NOTE: Fabrics may vary. 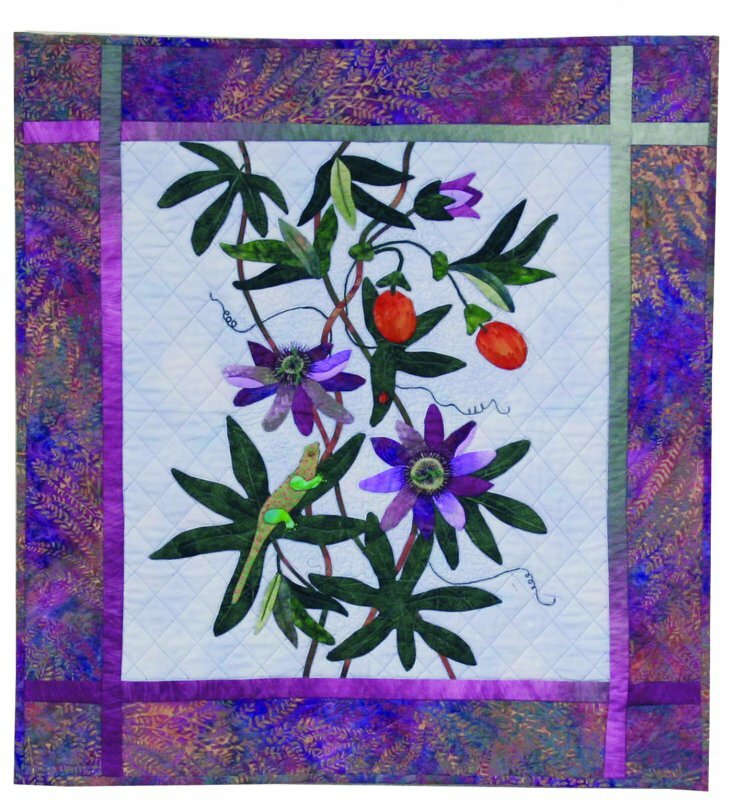 Fruit Medley Fabric Kit includes enough fabric for the quilt top, borders and binding. Pattern and DMC Floss are also included. All fabrics are high quality 100% cotton. NOTE: Fabrics may vary. 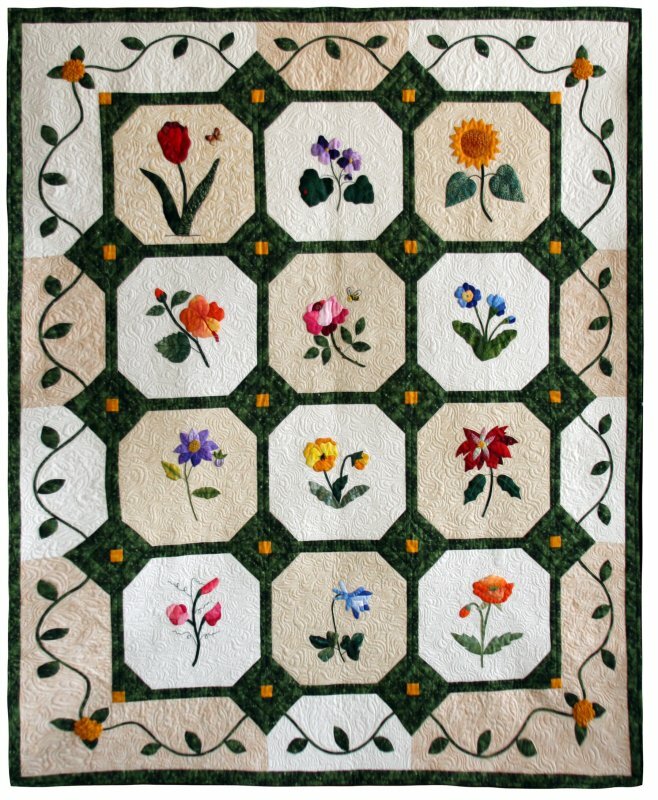 Project Size: 31" x 31"
Garden Jubilee Fabric Kit includes enough fabric for entire quilt top, borders, binding and sashing. 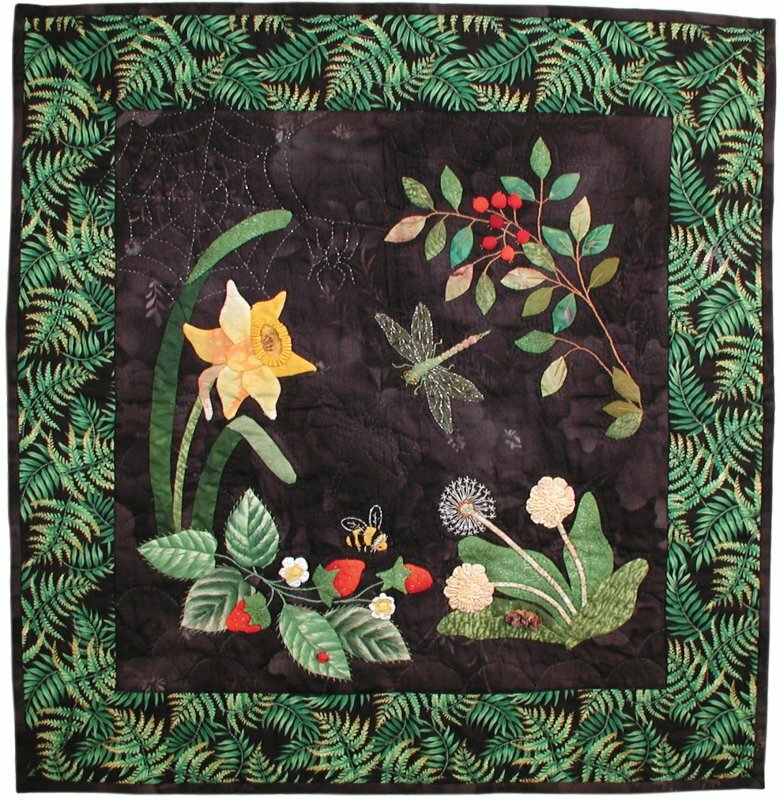 Floss is included for embellishments. Finished quilt measures 541/2" x 68". All fabrics are high quality 100% cotton. NOTE: Fabrics may vary. 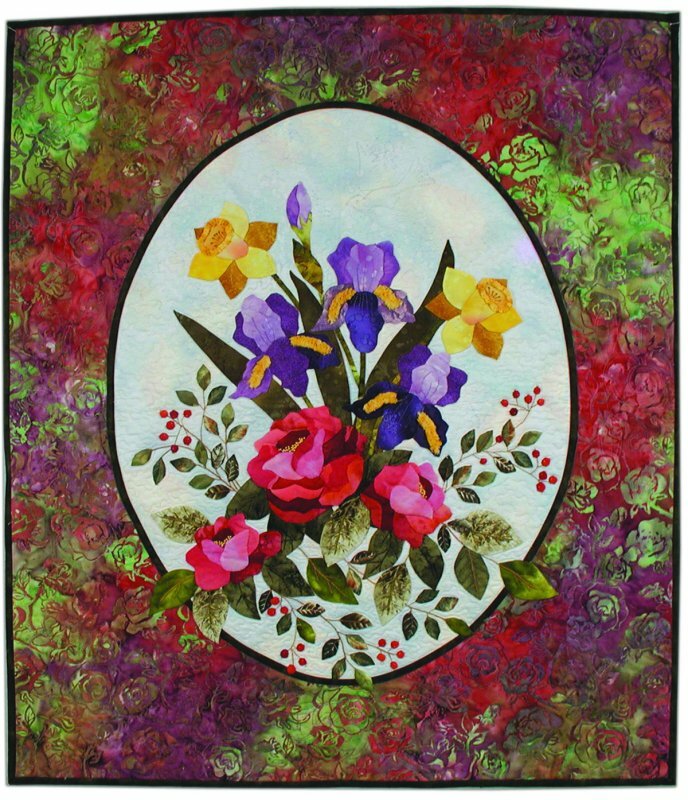 The Garden Walk Fabric kit includes the pattern, fabric for quilt top, borders, binding and sashing. Floss is included for embellishments. Finished quilt measures 45" x 49". 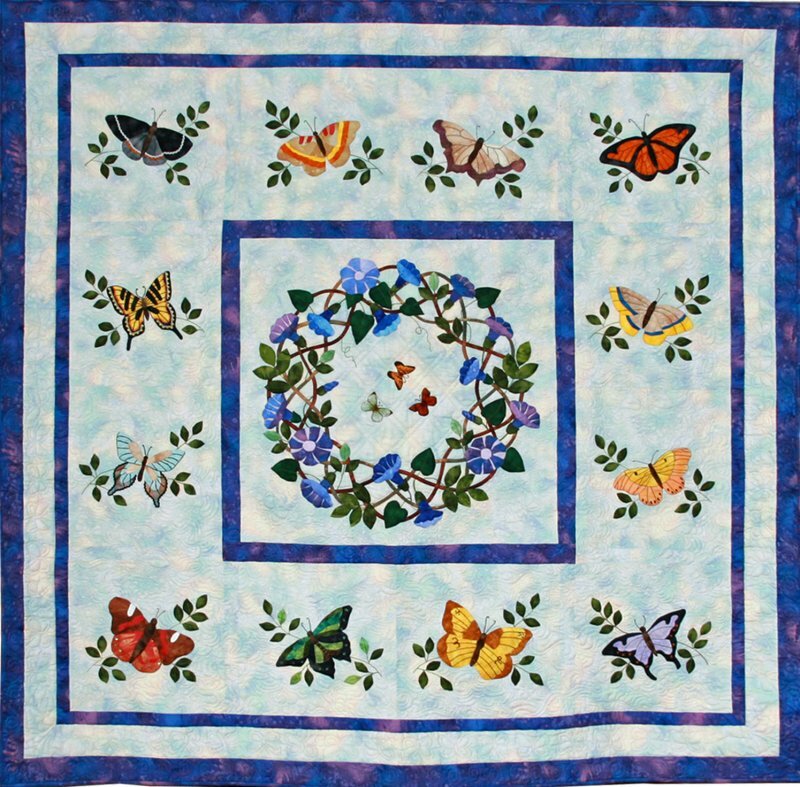 This quilt can also be ordered as a block kit of the month. 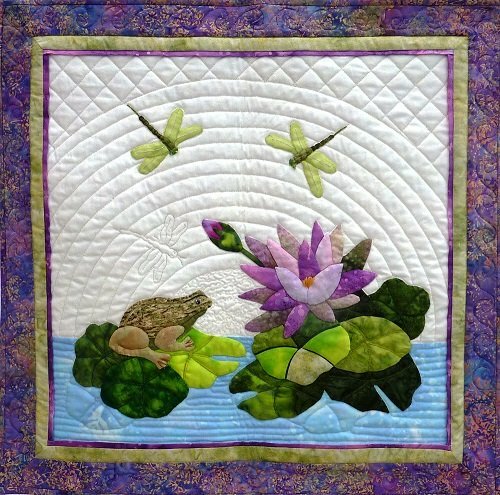 Gecko's Passion Fabric Kit includes enough fabric for the quilt top, borders and binding. Pattern, DMC Floss, and beads are also included. All fabrics are high quality 100% cotton. NOTE: Fabrics may vary. 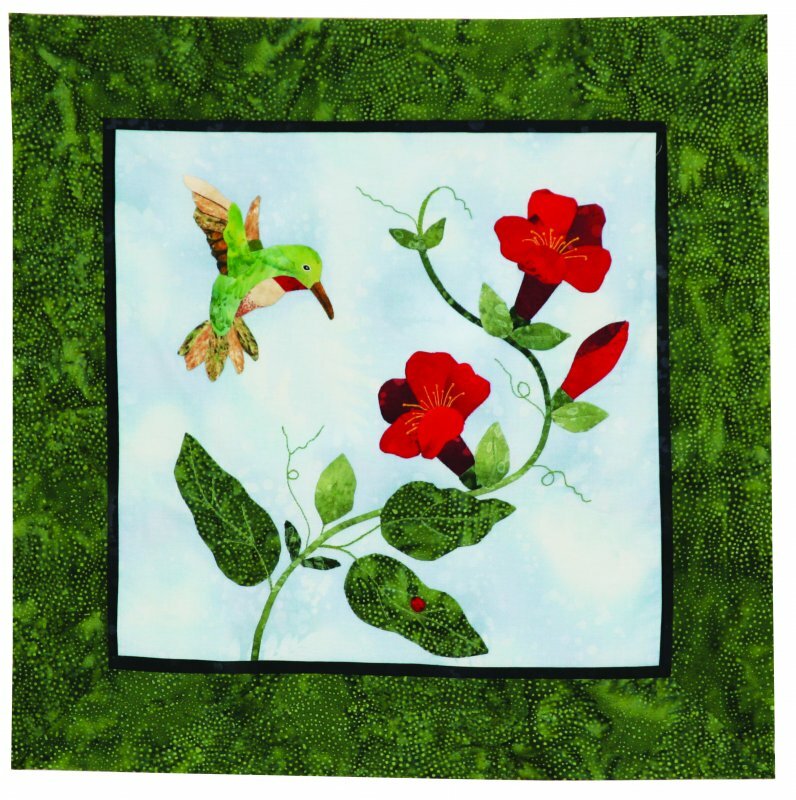 Hummingbird Delight Fabric Kit includes enough fabric for the quilt top, borders and binding. Pattern and DMC Floss are also included. 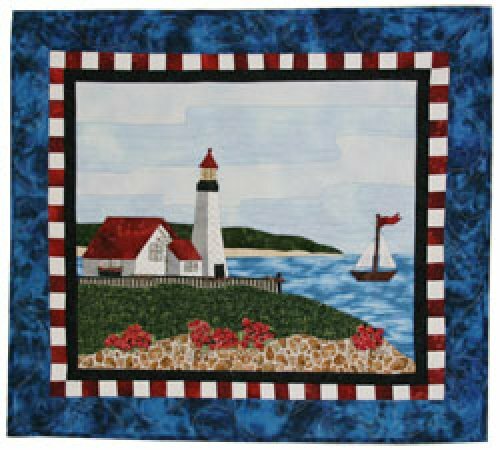 All fabrics are high quality 100% cotton. NOTE: Fabrics may vary. Light the Way Fabric Kit includes enough fabric for the quilt top, borders and binding. Pattern and DMC Floss are also included. All fabrics are high quality 100% cotton. NOTE: Fabrics may vary. 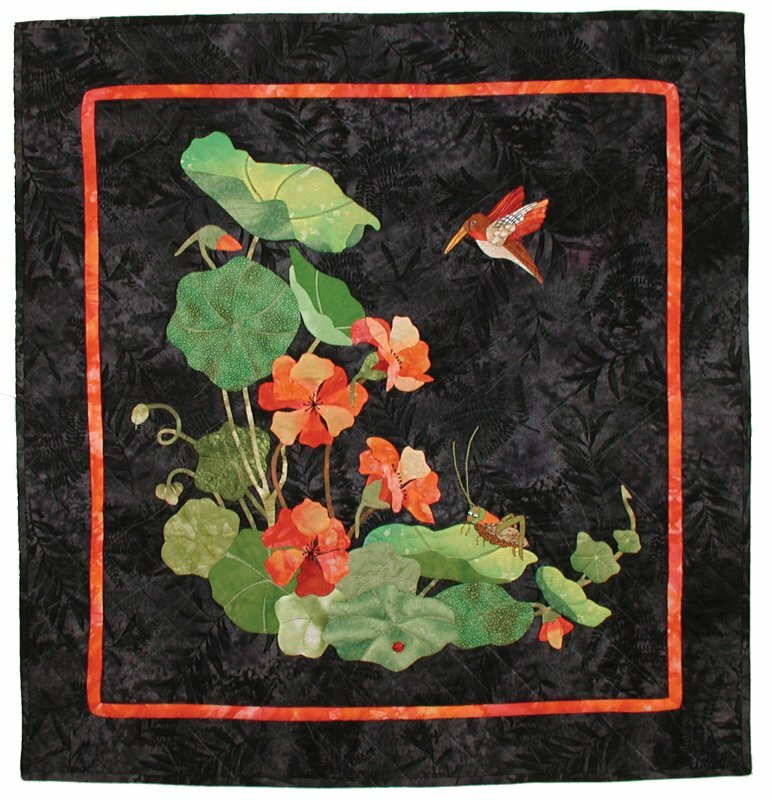 Nasturtiums Fabric Kit includes enough fabric for the quilt top, borders and binding. Pattern and DMC Floss are also included. All fabrics are high quality 100% cotton. NOTE: Fabrics may vary. 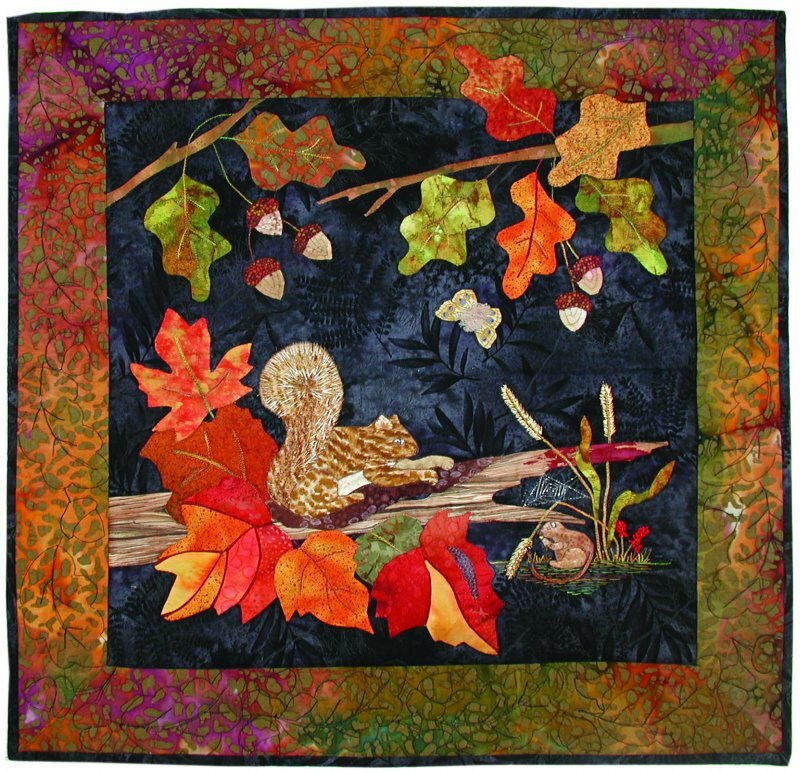 Shades of Fall Fabric Kit includes fabric for the quilt top including borders and binding. 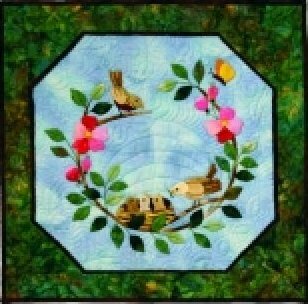 You use your scraps for the piecing.Pattern is included. All fabrics are high quality 100% cotton. NOTE: Additional scraps are needed for sashing. *Fabric may vary. 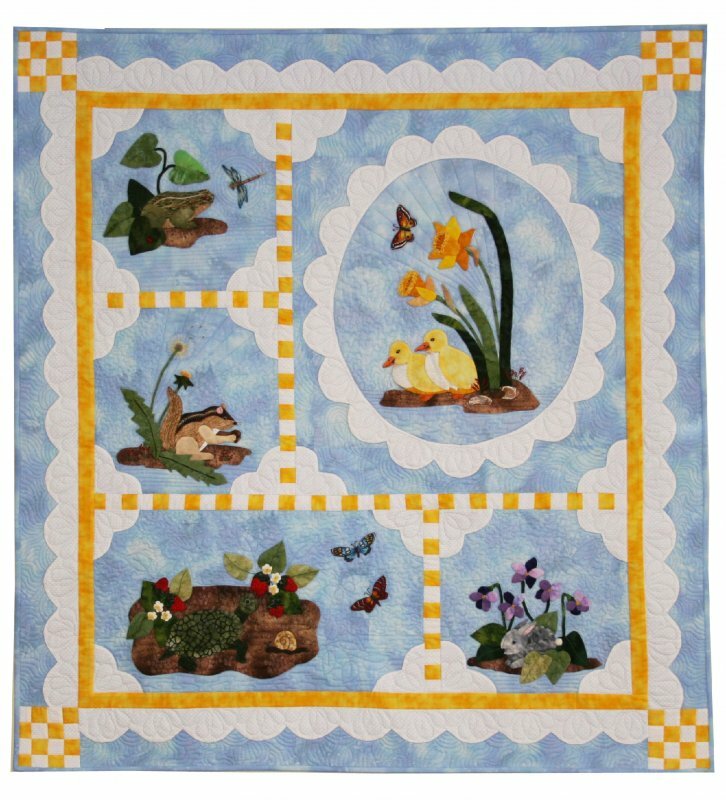 Springtime Fabric Kit includes enough fabric for the quilt top, borders and binding. Pattern and DMC Floss are also included. All fabrics are high quality 100% cotton. NOTE: Fabrics may vary. 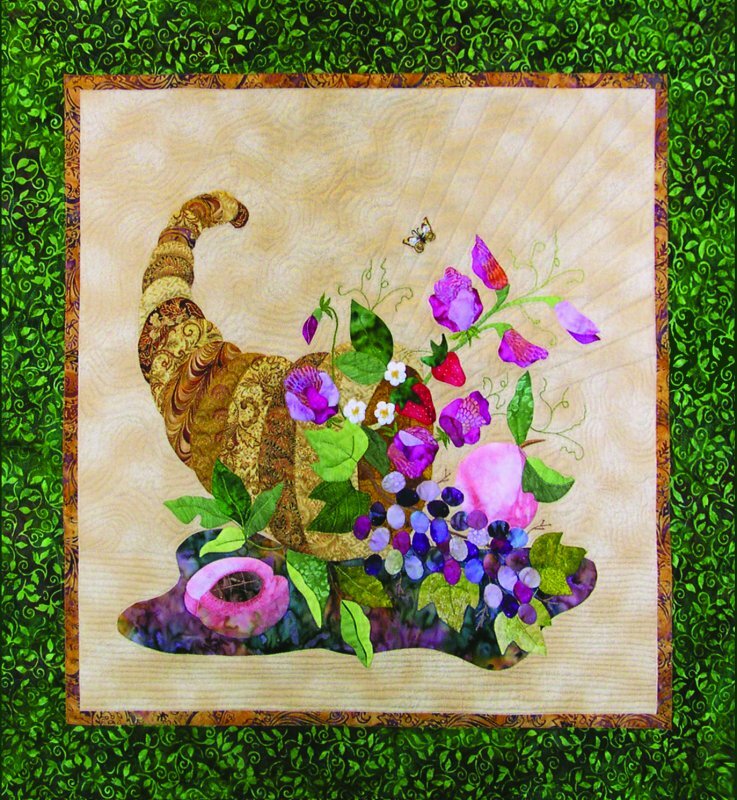 Summer Fabric Kit includes enough fabric for the quilt top, borders and binding. Pattern and DMC Floss are also included. All fabrics are high quality 100% cotton. NOTE: Fabrics may vary. 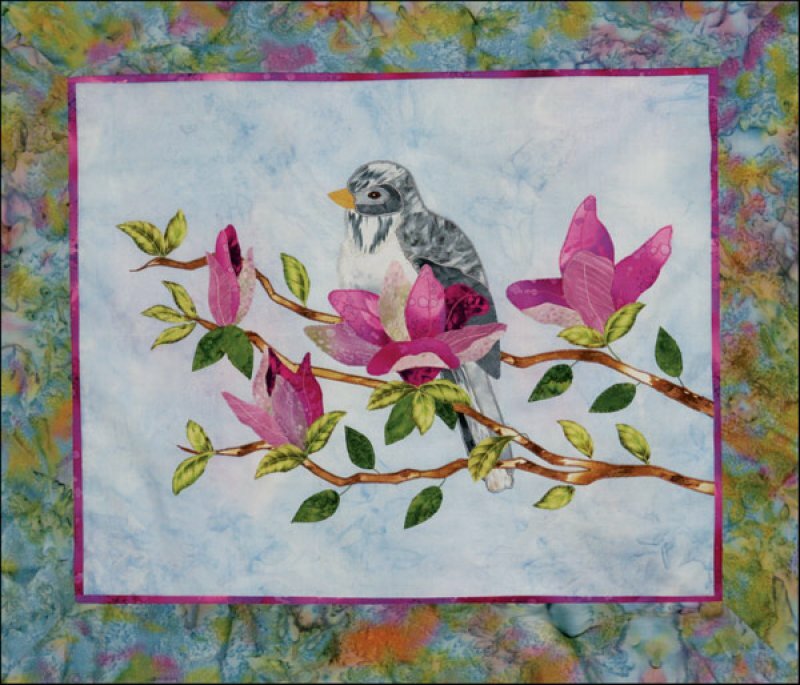 Sweet Magnolia Kit includes enough fabric for the quilt top, borders and binding. Pattern and DMC Floss are also included. All fabrics are high quality 100% cotton. NOTE: Fabrics may vary. 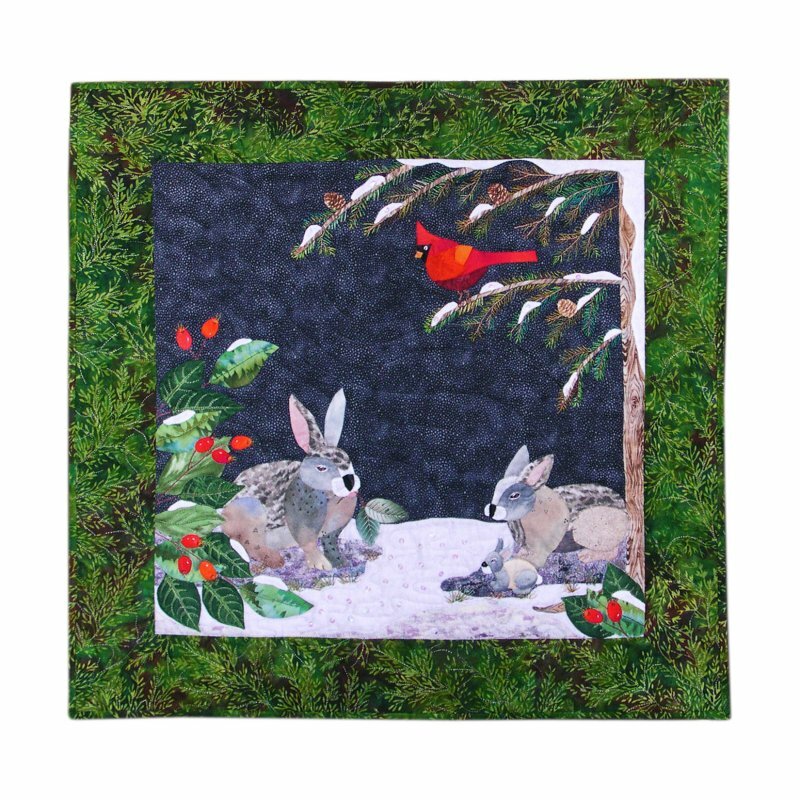 Wendy's Winter Fabric Kit includes enough fabric for the quilt top, borders and binding. 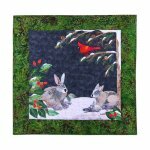 Pattern, DMC Floss, faux fur and bead embellishments are also included. All fabrics are high quality 100% cotton. NOTE: Fabrics may vary. 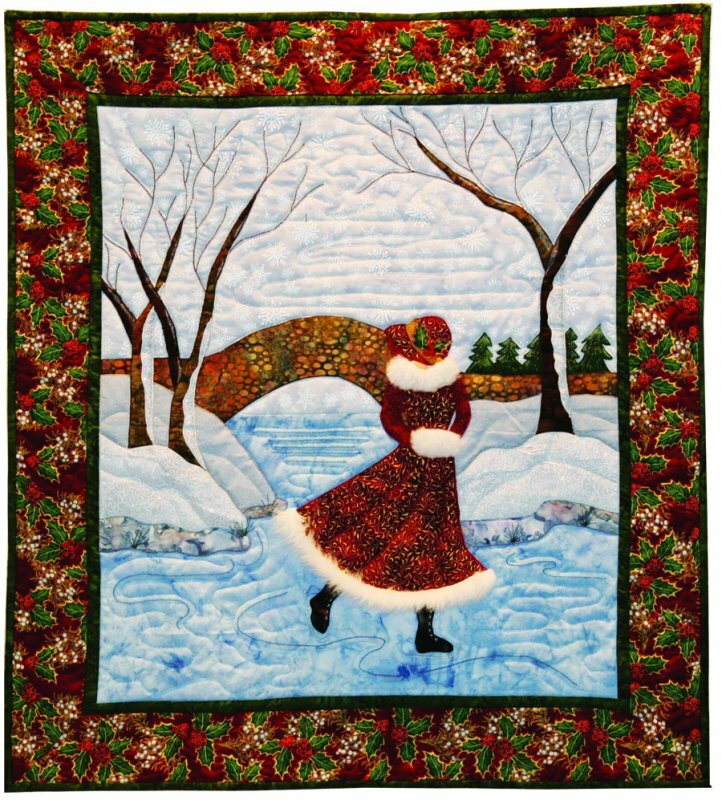 Winter Fabric Kit includes enough fabric for the quilt top, borders and binding. Pattern and DMC Floss are also included. All fabrics are high quality 100% cotton. NOTE: Fabrics may vary. 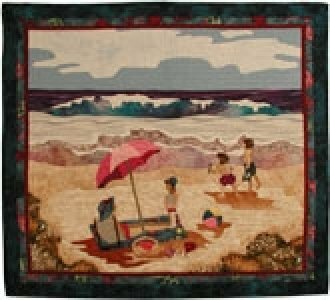 Life's A Beach Kit includes fabric for the quilt top including borders and binding. Pattern and DMC Floss are included. All fabrics are high quality 100% cotton. NOTE: Fabrics may vary.